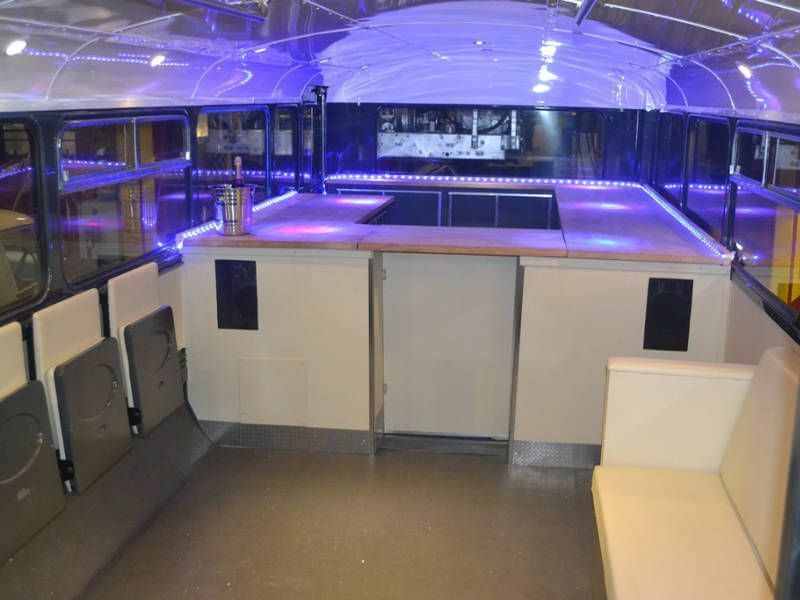 Depending on your requirements, we can supply a variety of Party buses. 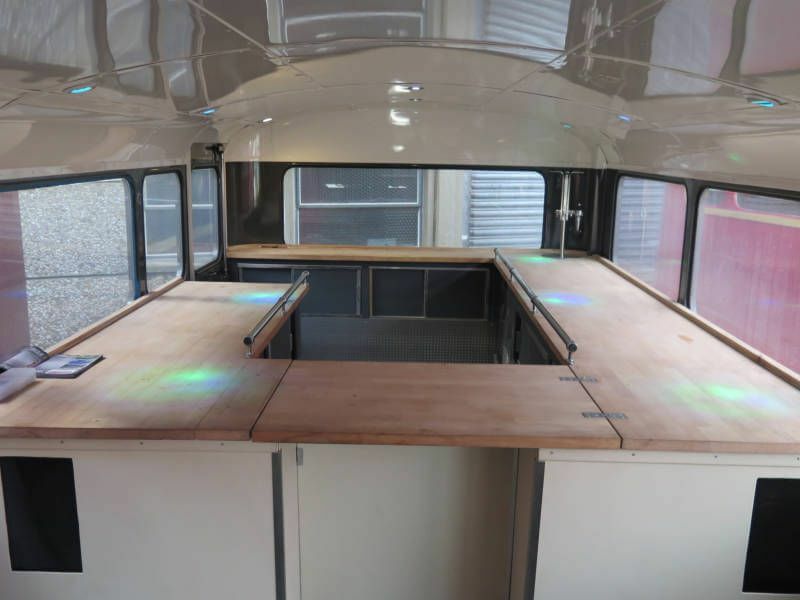 We do provide a "mobile party" service subject to licensing and where you require to go. 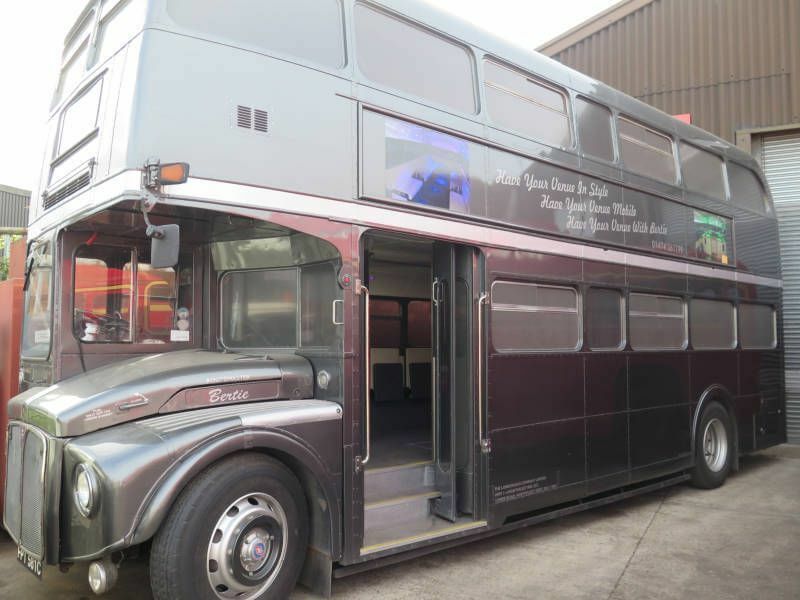 This is performed on board our Routemaster party bus which is a gun metal grey vintage bus styled to modern taste while maintaining the notorious London Bus theme. It makes it the ideal place to host guests at prestige events or traveling around places of interest. 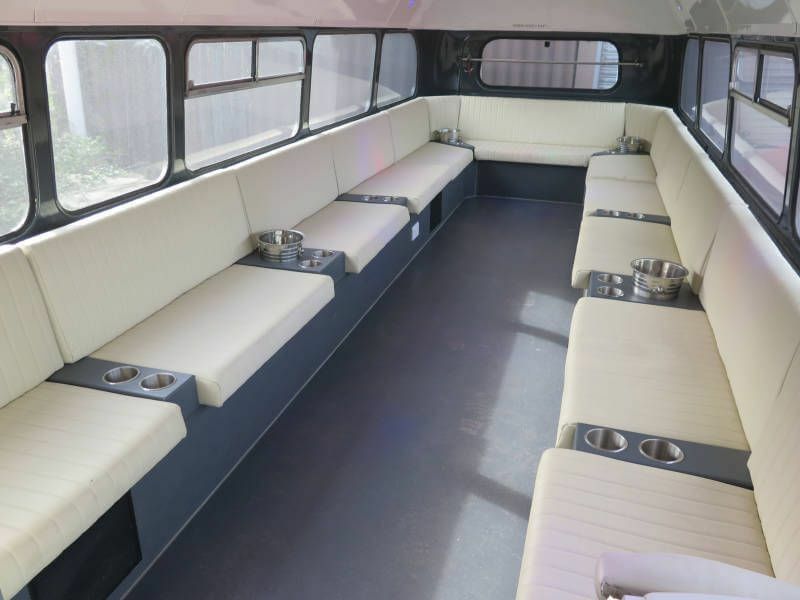 More and more people are enquiring about a moving party bus for Hen and Stag nights, Private Parties and Corporate nights out for which this is the perfect solution. Fully self sufficient with its own generator, heating and cool air system, we can transport you to your prom, work night out or to the races. We can serve a variety of bottled beverages and cater for up to 40 people, 20 seated. It hosts a lounge area upstairs with a music system, mood lighting, TV and fine furnishings. It is a dynamic venue to conduct meetings, seal business deals, or just to enjoy yourselves in style! Individual packages available on request.